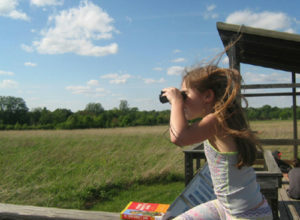 Looking for a Champaign-Urbana area summer camp that challenges your kids? Do you wonder if they can have fun AND learn during the hot summer sun? Of course, they can — you live in a college town! There are plenty of opportunities for your school-aged children to do crafts and get dirty, all while stopping their brains from atrophying from disuse. Check out our HUGE Champaign-Urbana Area Summer Camp Guide for a fuller list of camps. But if it’s STEM (Science, Technology, Engineering, Math) or STEAM (Science, Technology, Engineering, Art, Math) you’re looking for, you’ve come to the right place. 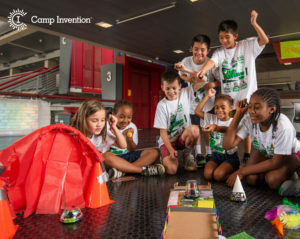 Unmask your child’s creativity this summer in the all-new Camp Invention® program, Supercharged , where children transform their wild imaginations into epic creations. Campers in grades K-6 will code robots and use collaboration and creative problem solving during hands-on, STEM activities. Click here or call to register. Use promo code INNOVATE25L to save $25 (March 22) or PLAY15LISTING to save $15 (May 10). Dates: June 17-21, 9 a.m. – 3:30 p.m. 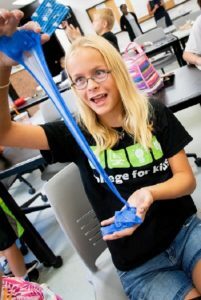 Through these weeklong enrichment camps, students will have the opportunity to explore themes in Science, Technology, Engineering, the Arts and Math. Students will immerse themselves in units of study that foster creativity and discovery-based learning. The Petta, Zetta, and Yotta camps serve students entering first through third grade. In the mornings, campers will spend the week immersed in hands-on and inquiry based programs in our STEAM activities and Makers Lab. Then, in the afternoon they enjoy swimming trips, outdoor activities, or going on field experiences related to the theme being explored. These camps meet for nine weeks during the summer. 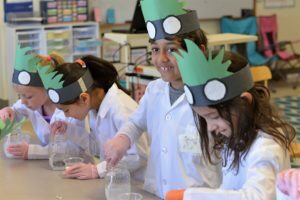 Through these weeklong enrichment camps, students have the opportunity to explore themes in Science, Technology, Engineering, the Arts and Math. Participants will immerse themselves in units of study that foster creativity and discovery-based learning. Students entering fourth through sixth grade will participate in an advanced STEAM program that will include comprehensive experiments, opportunities to meet and work with experts in the field of study, and the creation of unique products to take home at the end of the week. These Tera camps meet for three weeks in June. Dates: June 10-Aug. 2. No activities on July 4. Mondays through Fridays, full days: 9 a.m. to 4 p.m., half days: 9 a.m. to noon or 1-4 p.m. Early drop-off: 8 a.m. and late pick-up: 5:30 p.m.
Parkland College offers a number of exciting camps to fill your summer days! The best summer ever awaits kids, ages, 8-13, at College for Kids (CFK). This popular two-week, half day sessions, cover a variety of subjects, including robotics, technology, visual and performing arts, math, and science. Parkland College also offers numerous exciting summer camps for youth, ages 10-18, including Girls QUEST Stem Camp, CSI, First Gig Rock and Roll, Drone Camp, Machining and Welding, Land Surveying, Automotive, Collision Repair, and Motorsport. 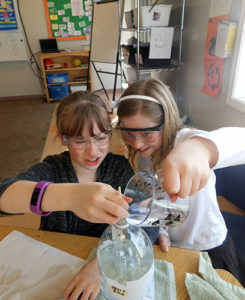 Students will learn something new and explore interests in hands on, interactive camps. Small classes are designed to challenge while having lots of fun and all camps taught by professional educators. To register, click here and search by category Youth and College for Kids. Dates: College for Kids June 17-27, Monday – Thursday, 12:45-2:45 p.m. and 3-5 p.m.
July 8-18, Monday – Thursday, 12:45-2:45 p.m. and/or 3-5 p.m. Girls QUEST Camp, Ages 12-15: July 22-25, Monday-Thursday, 9 a.m.-3 p.m.
First Gig, Ages 10-17: June 10-14, Monday – Friday, 9 a.m.-5 p.m.
Parkland CSI Experience, Ages 14-17, June 17-27, Monday – Thursday, 9 a.m.-3:30 p.m.
Land Surveying and Mapping with Technology, Ages 14-18: June 10-13, Monday – Thursday 9 a.m.-3 p.m. Automotive Camp, Ages 13-15: June 10-13, Monday – Thursday, 9 a.m.-3 p.m. Automotive Camp, Ages 16-18: June 17-20, Monday – Thursday, 9 a.m.-3 p.m.
Motorsport Camp, Ages 16-18: June 24-27, Monday – Thursday, 9 a.m.-3 p.m.
Machining and Welding – Industrial Technology Camp, Ages 13-18: June 10-20, July 8-18 and July 22-Aug. 1, Monday – Thursday, 9 a.m.-3 p.m.
Countryside School offers summer camps that are open to ANY student from ANY school. Choose from week-long enrichment camps in science, art, sports, fantasy, nature, strategy games, and much more. 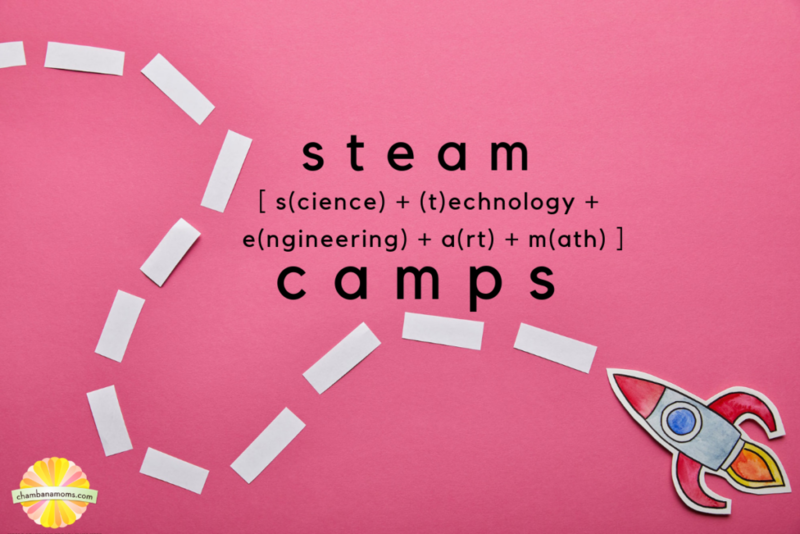 STEAM camps offered this summer: Mini Mad Scientists; STEAM Around the World; Architectural Exploration; STEAM Disney, Creativity Corner; and Wonderful World of Bugs. Camps may fill quickly.